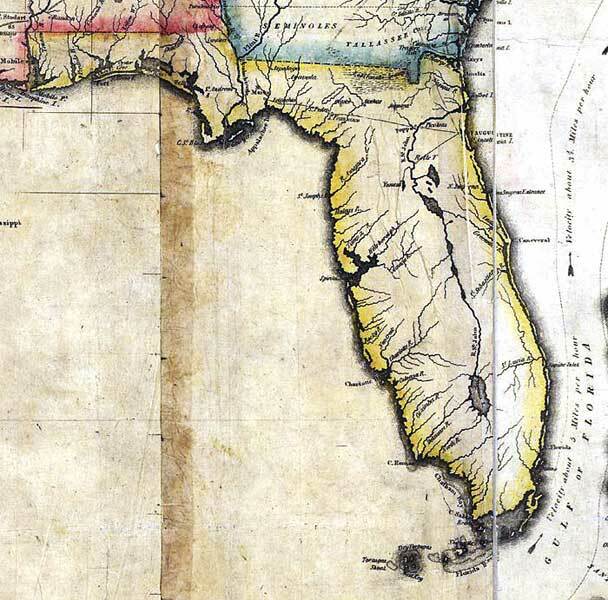 Description: A detail of the 1816 map "Map of the United States of America : with the contiguous British and Spanish possessions / compiled from the latest & best authorities by John Melish" showing the Spanish territory of Florida. This map shows coastal features, major lakes, rivers, and settlements. Relief is shown pictorially.